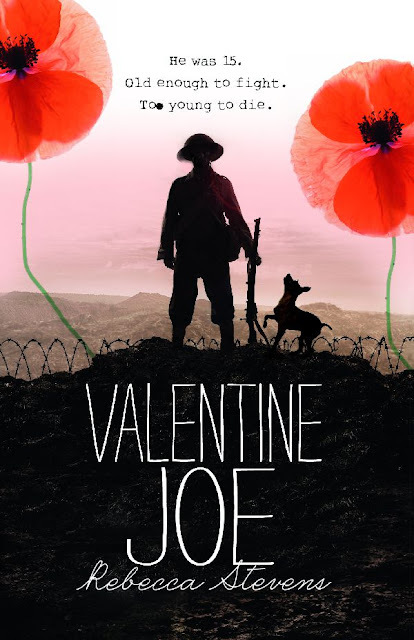 Serendipity Reviews: Rosemary for remembrance: how Rose in the Blitz began….by Rebecca Stevens. 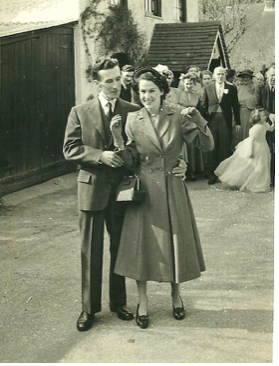 Rosemary for remembrance: how Rose in the Blitz began….by Rebecca Stevens. 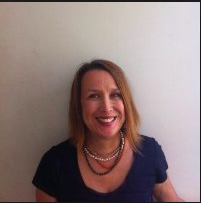 On the blog today, I'm pleased to welcome Chicken House author, Rebecca Stevens. 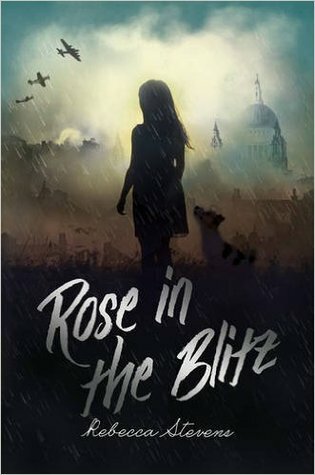 Rebecca has just had her second book published, Rose in the Blitz. Rebecca has written a rather poignant and personal post about her mother and how she inspired her to write her latest book. My mother Rosemary died two years ago, in the spring of 2014, the year Valentine Joe, my first children's book, was published. She was eighty-six, a good age, as people say. Too good really, since the last few years of her life were spent lurching from crisis to crisis as her health and that of my father went downhill. It's a story that will be familiar to many people with elderly parents. First, the move from Somerset, so she and Dad could be nearer to me in Brighton. Then, the falls, Dad's broken hip, the hospital sending him home, unable to walk, into the care of a physically frail and already slightly bonkers eighty-two-year-old woman. Next, the move to what's called 'assisted living'. A flat with lunch provided and staff on call twenty four hours a day. But then, another late night fall from Dad, blood on the carpet, Mum found wandering the corridors in her nighty, not knowing where she was, having forgotten about the alarm cord in their flat that she'd never learned to use. So, another move. To a lovely place, my sister and I thought, full of flowers and books, more like a cosy country house hotel than a residential home for old people. That didn’t last long. Mum didn’t understand why they were there. She kept asking when they were going home and being found beetling along the main road on her way to buy cheese for supper. When she started throwing oranges at the staff we had to face the truth: Mum had dementia and she needed specialist care. Both our parents had lived through the war and it remained an important part of their lives. Dad was a pilot, flying bombers at the age of nineteen, although like many men he rarely talked about his wartime experiences. But Mum did. She loved to tell us about keeping chickens in the garden and the shortage of sweets and being woken up in the middle of the night by a bang and her mum saying, 'Go back to sleep, dear, it's only a bomb'; about being evacuated to a family with a big house in Yorkshire where there were ponies and servants and you had to say prayers before breakfast; about soldiers everywhere (she always thought how boring life would be without soldiers!) and girls being able to wear trousers and then, on VE day, going up to London with her mum and dancing in Trafalgar Square then spending the night on a bench in St James's Park because they'd missed the last train back to Worthing. All Mum's memories became part of my own memory and my life. They still are. So, when my sister and I finally faced the reality of her dementia, I wanted to make sure they would never be forgotten. But I wasn't sure how to do it. And then something else happened. Mum started to see things that weren't there. It's not uncommon with dementia, of course, and is often quite upsetting. It wasn't with Mum though. She used to see two little boys out of the corner of her eye who would follow her round and appear at inconvenient moments when she was in the Co-op or having her eyes tested. I was intrigued by these boys and started to wonder what it would be like if I could see them too. If I could see what Mum was seeing, I thought, then maybe I could really be part in her memories and share the things that had been most important to her throughout her life, before they were lost forever. I couldn’t do it myself, of course. So I decided to do it in my second book for children, Rose in the Blitz, when I sent my heroine down an escalator after her Great-Aunt Rosemary, into the wartime London of her memory. I wanted to try and understand the part that memory plays in our lives and what happens to our sense of self when our past merges with our present and our future stops being an issue. And I wanted something good to come out of something awful. Because it is awful, mostly. When Mum became ill, I read everything I could about the condition and found a few things that worked. They're common sense, really, ordinary politeness taken to the nth degree. I was always taught that it's rude to contradict, so when your relative starts talking nonsense, telling you the manager of the home is plotting against her or her once-cherished husband is in touch with the devil, you don't put her right. You go along with it, in a kind of vague, half-hearted way and then try and change the subject. You buy her chocolate and ice creams, you try and make her laugh. You sing. And then, when it's all over, you can always write a children's book about it…..